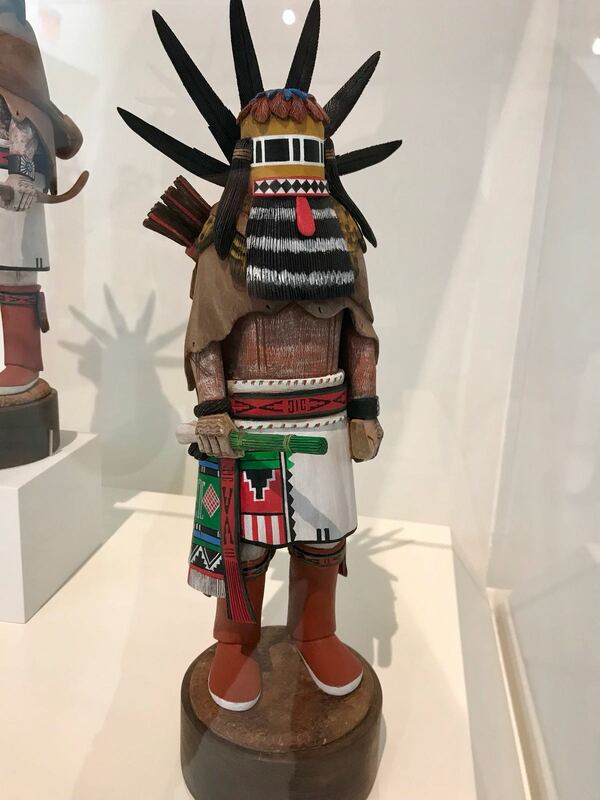 The Philbrook Downtown Museum in Tulsa, Oklahoma shows now till January 2019 a amazing temporary exhibition of Kachina wood carving sculptures from Northern Arizona. 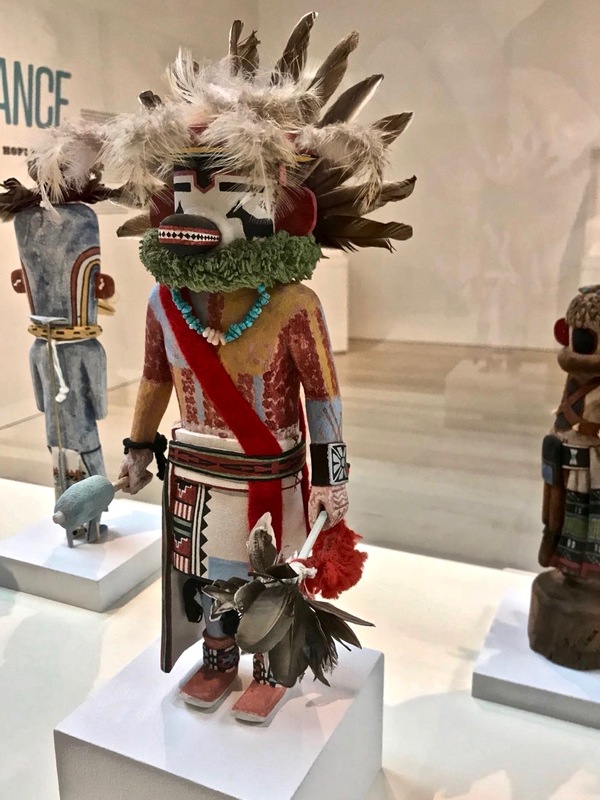 The Kachinas represent sacred spirits in the religious belief of the Pueblo people, Native American cultures located in the southwestern part of the United States: Arizona, New Mexico, Utah and Colorado. The land of the Southwest is one of merciless deserts and towering high peaks, in these areas of extremes the pueblo indians try to survive in harmony with mother nature. They are exposed to natural forces with extreme weather conditions like draught. They needed the support of supernatural powers to guarantee the rain for a rich corn harvest to survive the winter. 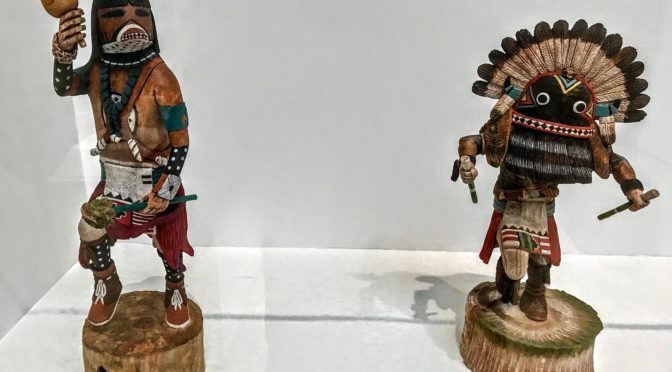 The Kachina cult was one important possibility to get in contact with the supernatural powers, because Kachinas are believed to possess power over nature and its forces. The greatest ritual effort is devoted to securing favorable weather for a good harvest. 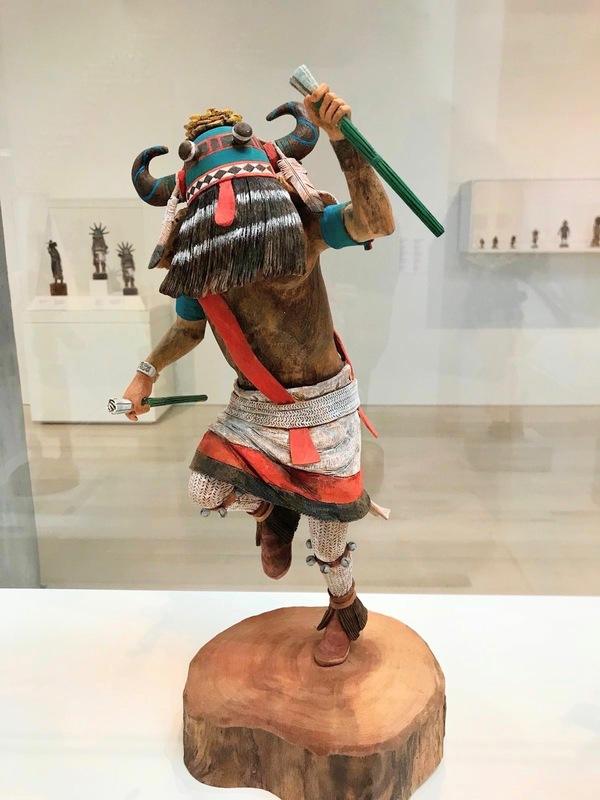 Under the name Kachina, the Pueblo subsumes three different thing: At first it is a powerful spirit, secondly it is a ceremonial dancer during religious rites in certain kachina regalia and more over it is the artistic wooden kachina doll. The last one is at the same time, artistic product and magical charged sacred object. 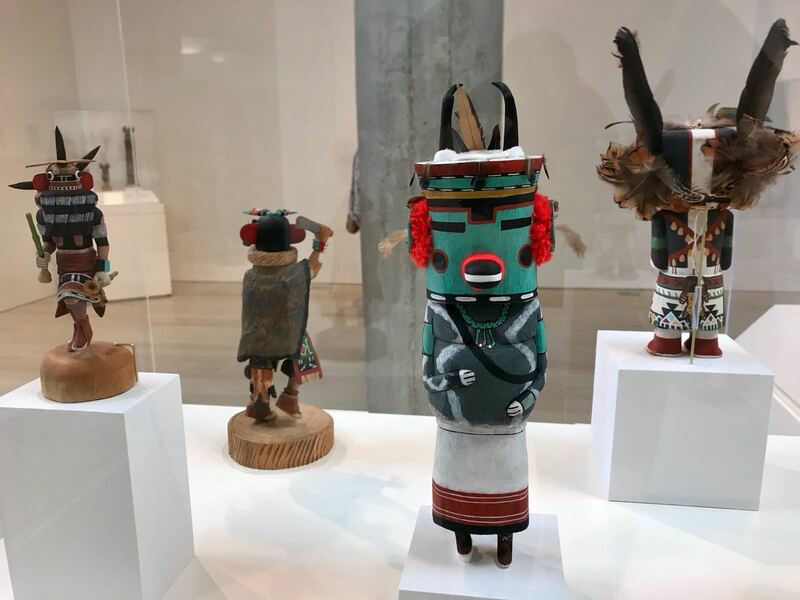 The current exhibition in Philbrook Downtown is dedicated to the amazing powerful wooden kachina dolls. Especially for the Hopi and Zuni tribe they are of immens importance for the religious ceremonies. 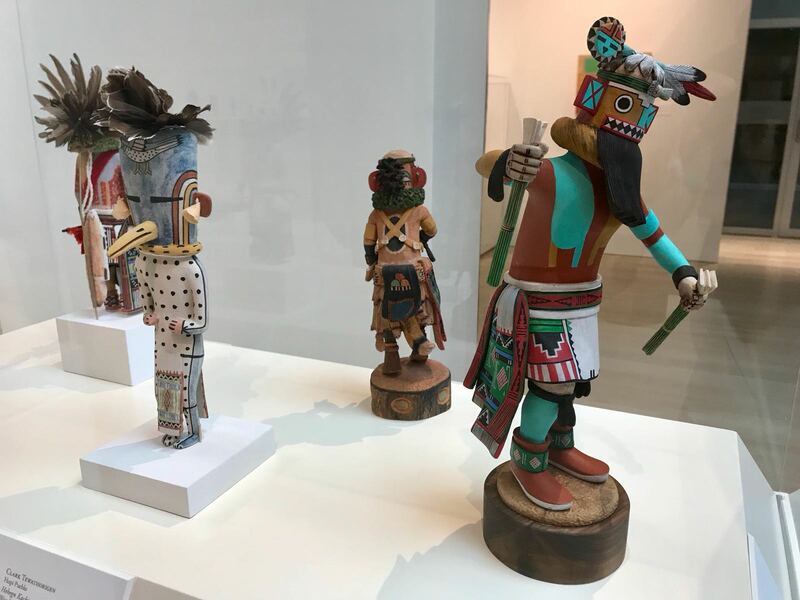 At certain times of the year, Kachinas come to live among the Hopi and perform ceremonies like the annual Bean Dance to help ensure the wellbeing of the Hopi community and the world. It is believed that the Kachinas live among the people of the village 6 month of the year, which starts in January, the other half of the year they return back into the San Francisco Peaks, till the next year. 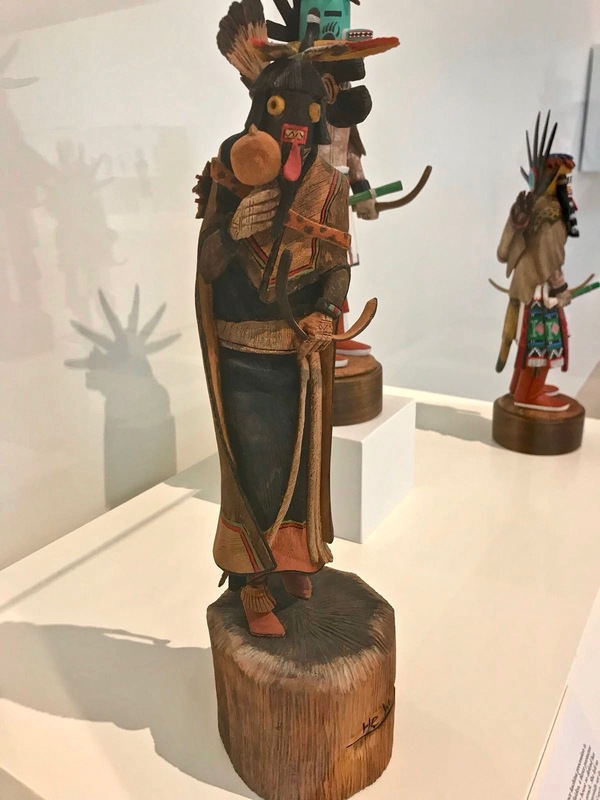 The Kachinas are personated in religious ceremonies by men of the village, but during the ceremony they transform theirselves into a supernatural being, for the health of their society. It is believed that they can cure disease, grow corn, bring clouds and and ensure the survival of the whole tribe. Among the Hopi there are about 300 Kachinas, and they all stand for different qualities or elements. They can impersonate ancestors, rocks, plants, animals, mountains, rain and everything in the living world. 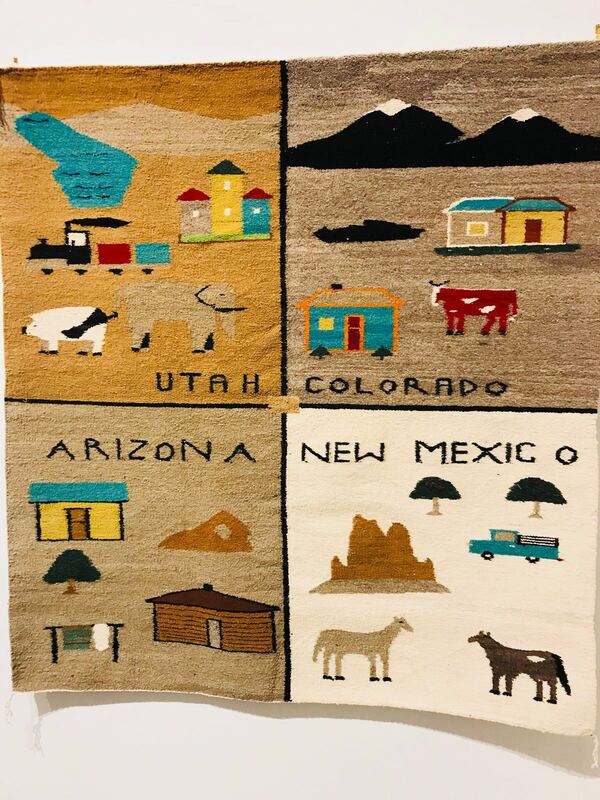 There are even Kachinas that represent the neighbors of the Hopi: the Zuni, the Navajo and the Havasupai. The local pantheon of kachinas varies in each pueblo community; there may be Kachinas for the sun, stars, thunderstorms, wind, corn, insects, and many other concepts. Kachinas are understood as having humanlike relationships; they may have uncles, sisters, and grandmothers, and may marry and have children. Although not worshipped, each is viewed as a powerful being who, if given veneration and respect, can use his particular power for human good, bringing rainfall, healing, fertility, or protection, for example. 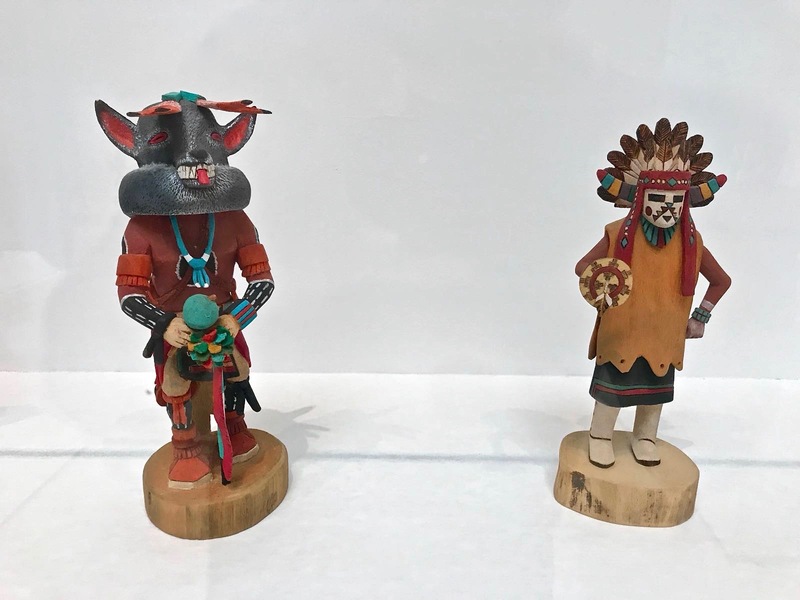 The exhibition ‚ Bean Dance: Hopi Kachina Carvings‘ highlights a unique Native American art form – Kachina carvings by Hopi artists from northern Arizona and gives the visitor the possiblity to get a glimpse of this amazing colorful culture. Colton, Harold S., Hopi Kachina Dolls with a Key to Their Identification. University of New Mexico Press, 1971.